Now that’s some serious dedication to the cause. 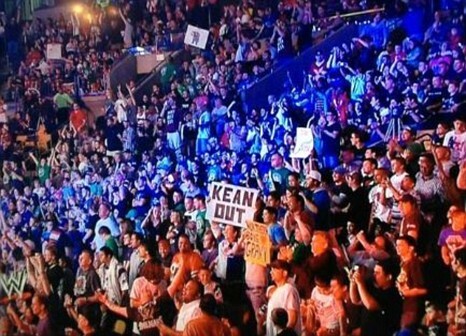 There was a ”Bates Out” sign at the same PPV, there’s a screengrab doing the rounds. this reminds me,,i saw some guy at the moldova vs england quailfier last week in a cm punk shirt.